Whoops, I don't know that user name or password, try again. A new configuration of our renowned Seismic Cabinet that includes floor cable access, 45 RMU, Brushes and vents to allow air control. 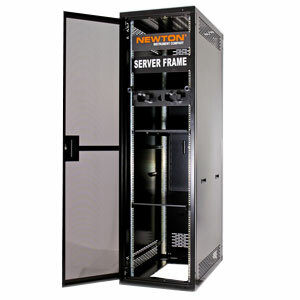 Newton has a large selection of racks to choose from. Selecting the correct rack can be challenging. 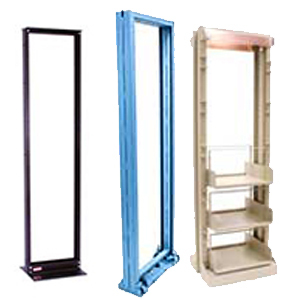 You may be interested in seismic capabilities or need a rack with an EIA aperture. We have created a comparison page that may help you decide which rack is the right choice for your application. Cabinets and 4-post Frames come in many different styles and serve different roles when it comes to a central office or data room. Heat mitigation and weight capacity differ between equipment applications. Our engineering and sales staffs have developed a range of products to complement your equipment's specifications and requirements. We Turn Metal Into Solutions. 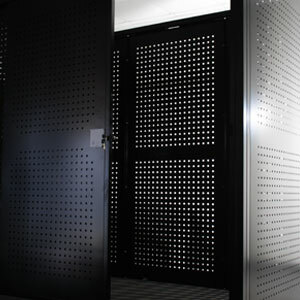 Secure and protect your company’s valuable assets with Cross-Guard Security Caging by Newton. 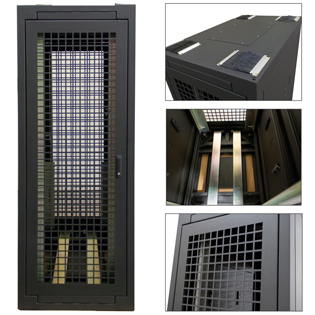 Made in the USA, our sturdy 16-gauge steel caging solutions provide a secure perimeter around any asset that requires an added level of security. To discuss what Newton can do for you, please direct all inquiries to your Newton Customer Service Representative.